On Tuesday night, there should be some strange creatures knocking at your door, demanding something from you. 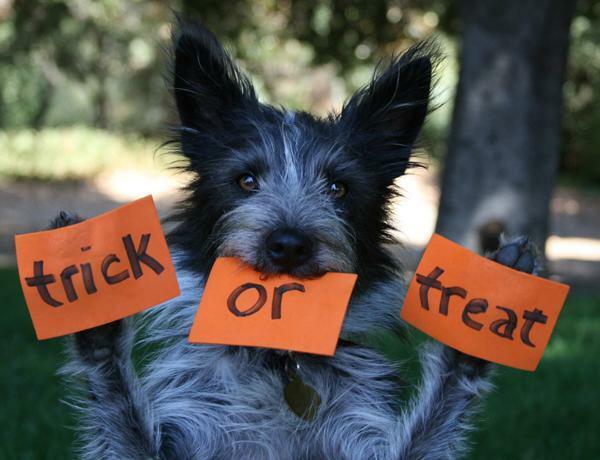 No, this time it isn’t hopeful politicians begging for your support, but Halloween trick-or-treaters.For our pets, it probably won’t make any difference — they might be upset by either of them.Halloween can be a scary time for pets. The frequent doorbell rings, people walking around in odd costumes and all of the flashing lights and loud noises. If your pet is freaked out by those things, you’ll need to takes some steps to minimize the chaos for them, and you’ll need to watch out for other dangers — candy. Halloween decor usually includes lots of spooky lighting and creepy props. If you use real candles, keep an eye on them and your pets. It’s easy for your pets to knock the candles over, setting a fire or burning themselves with the flame or hot wax. Any decorations that contain liquid should be closed off to prevent your pet from drinking it. We all know that chocolate can be deadly to dogs, but there are other foods that can make them ill or kill them. Raisins might be a good sugar substitute for your little trickster, but they are not good for dogs. Neither are grapes. Even worse than chocolate is xylitol, a sweetener used in sugar-free gums, candies and toothpaste. The sweetener can cause the animal’s blood sugars to drop quickly and dangerously low. Immediate treatment by a veterinarian is required. If you have a black cat that you allow to wander at night, consider keeping it in this Halloween. Black cats can become targets for some bad things. Those wonderfully carved pumpkins can attract wild critters to your yard. You might see the pumpkins as decorations, but they see them as free food. If you don’t want rats, raccoons and opossums to visit you, bring in the pumpkins after the party is over.